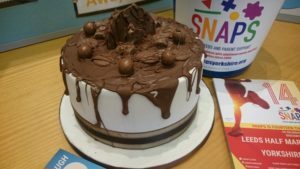 Whether you’re an individual, part of a school or community group or faith group, we’d love you to help us raise funds for SNAPS! In return we can come and talk to your school, group or place of worship about the difference that SNAPS makes to children with special needs and their families. Check out our Fundraising Pack for fundraising top tips and inspiration. Looking for a challenge? Want to get involved at an event? Take a look at our upcoming fundraising events. Are you an enthusiastic, committed person who wants to make a big difference to a small charity? We are looking for fantastic volunteers like you to join our voluntary Fundraising Committee and bring their skills, experience, ideas and time to help raise much needed funds for SNAPS Yorkshire. SNAPS Yorkshire CIO is a local Leeds charity offering accessible, affordable and regular physiotherapy and a supportive environment to children with special needs and their families. We deliver high quality hydrotherapy and rebound therapy sessions to children with a range of needs. We also offer an inclusive and welcoming environment for the whole family to play, socialise and share experiences. Regular therapeutic support can be expensive and difficult to access. The cost of one of our physiotherapy sessions is £40, but we offer this to families for just £9. We receive no funding from local government to cover the difference – instead, we rely on the goodwill of people like you who fundraise for and donate to our much-needed service. We welcome volunteers with all sorts of skills and experience – all we ask is that you are committed to helping us fundraise and bring your best ideas to the table! We aim to meet once a month to discuss ideas and put them into action. We appreciate that sometimes our volunteers can’t make every single meeting, but just come along to as many as you can. After that, how much time you give is up to you and dependent on the ideas that the group comes up with! Contact jenny@snapsyorkshire.org or call 07534 972 384 to request a short application form, or if you have any questions at all.